Victoria paints with energy, spontaneity and emotion. Her styles go from abstract to loose realism. She loves doing both! Her abstract paintings allow her to explore color, light – imagination and sometimes texture. 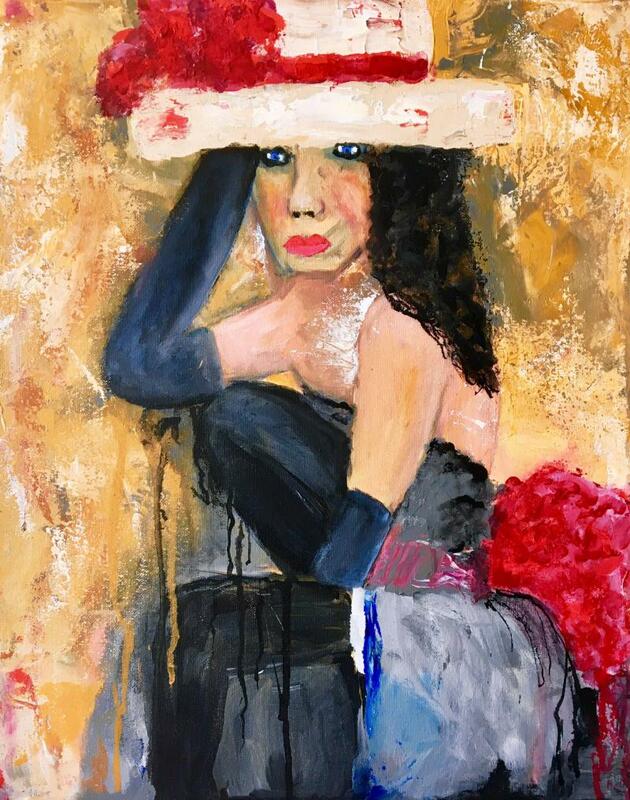 Different mediums allow her to express different ideas and capture the beauty in the paintings. She’s inspired by things she sees around her music, nature, people - a line, a shadow, a color and texture. She plans to continue to work with different mediums and is always searching for interesting affects. Each painting is a joyful journey of layering colors and letting her heart lead the way. Victoria's philosophy of art would be to do what you love and try as many things as possible! To follow me on Twitter or Facebook scroll to the bottom of this page. I can also be found on Facebook. Website designed and hosted by Victoria Johns Copyright 2017 All image rights reserved.